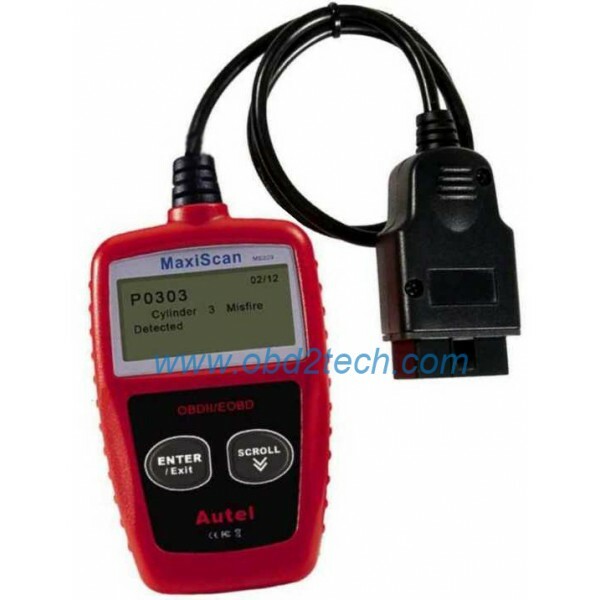 MaxiScan® MS309 CAN OBDII Code Reader provides easy and quick access to Diagnostic Trouble Codes for all 1996 and newer vehicles. It shows code definition on screen. Though small in size, it is powerful enough to retrieve same information as large expensive scanners. By buying this product you can collect up to 4 reward points as a voucher of $0.80. Your reward points. ●Easily determines the cause of the "Check Engine Light ( MIL)"